Life is Strange: Before the Storm's bonus episode, Farewell, was more than a goodbye between friends. It cemented Chloe Price as a tragic figure and showed the realistic cruelty of some of life's biggest tragedies. The following contains spoilers for Life is Strange: Before the Storm's bonus episode: Farewell, as well as portions of the main game. Those who have not played Before the Storm or the Farewell episode are advised to turn back now. 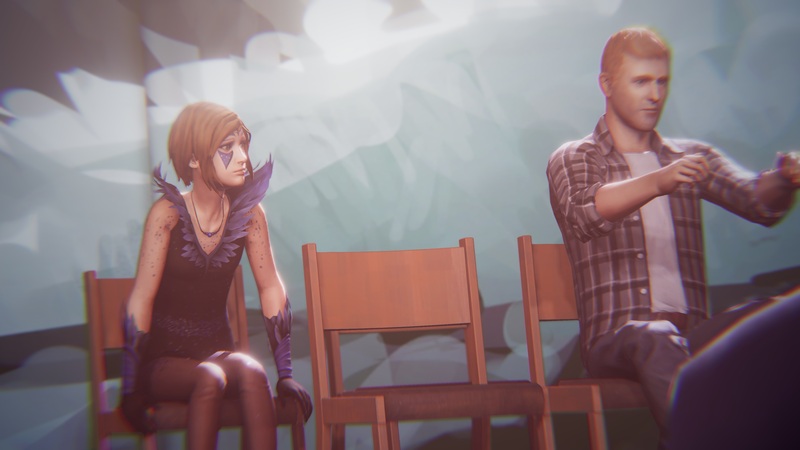 Over the course of the Life is Strange series, I would come back after each episode and talk about some of the big questions or the big takeaways. There would often be four or five points to talk about. But after Farewell, there was really only one particular point I wanted to talk about at length. I wanted to talk about Chloe Price. There are times when I still think about the original Life is Strange. It was a wild story of growing up in an Oregon suburb, as well as an unforgettable story of friendship. But I also remember one of my earliest impressions of Dontnod Entertainment's five-chapter story. I didn't particularly care for Chloe in the first game. She largely came across as self-centered and as somebody who frequently used best friend and main character Max Caulfield for her own ends. While my feelings on Chloe mellowed towards the end of the original game, it was Life is Strange: Before the Storm that truly helped me grow to appreciate and relate to the character. Deck Nine wove together a story of a confused teenager who wasn't sure where her life was headed, what she wanted, or what was happening to the world around her. But more than anything, it was this week's Farewell episode that conveyed the true tragedy of what it meant to be Chloe Price. 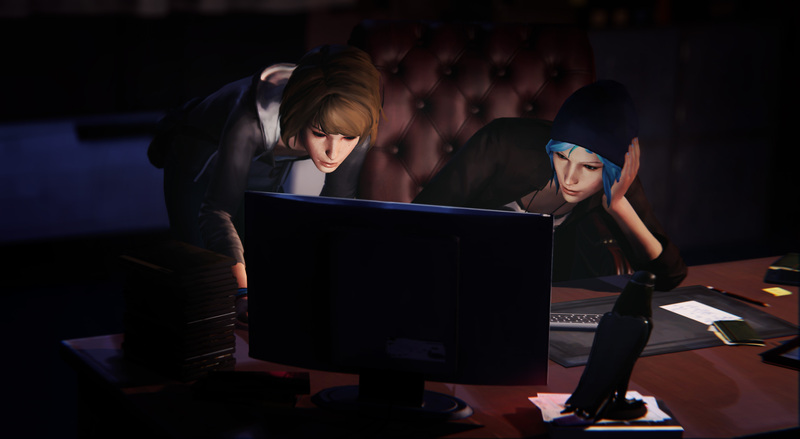 Farewell gave players a firsthand look at the beginning of Chloe's long and agonizing downward spiral. What's sad about it all is that this episode captured the true randomness of some of life's most tragic moments and it's a stark reminder that tragedy can happen to anyone at any time. If there's a theme to Farewell, it's that Chloe Price was a happy 13-year-old girl who was heading into a period of uncertainty. It wasn't just that she was in that awkward transition to her teenage years. She was getting ready to start a new life at Blackwell Academy, a place where she wasn't really sure how she'd fit in and one where she had already started racking up some disciplinary issues. Chloe was already reeling over learning that she was about to lose best friend Max, who was moving away to Seattle. It made her sad, but it wasn't going to break her spirit. The two were already making plans to stay in touch. Max was already thinking about how she was going to write to Chloe on a weekly basis. The two tried to make the best of a bad situation, taking one last day to escape into a fantasy pirate world. It turned out to be the end of their childhood, in more ways than one. 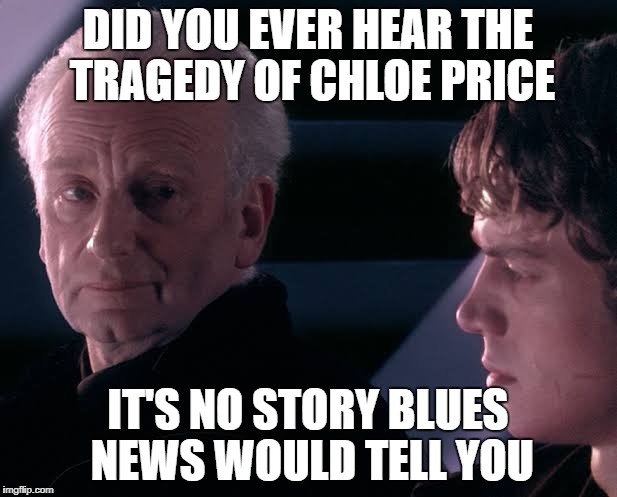 That's because the episode concluded with Chloe learning that her father had died in the fateful car accident that would shape her life going forward. Anyone who played Before the Storm knows how much Chloe's life was shaped by her father's death. But there was something more emotionally devastating in seeing what was ahead of Chloe prior to the events of Farewell. Players found Chloe's report card, which was filled with A's and B's. They found the Blackwell acceptance letter, praising Chloe's love for science and endless potential. But on top of that, they found more and more signs that Chloe's father was her real best friend. 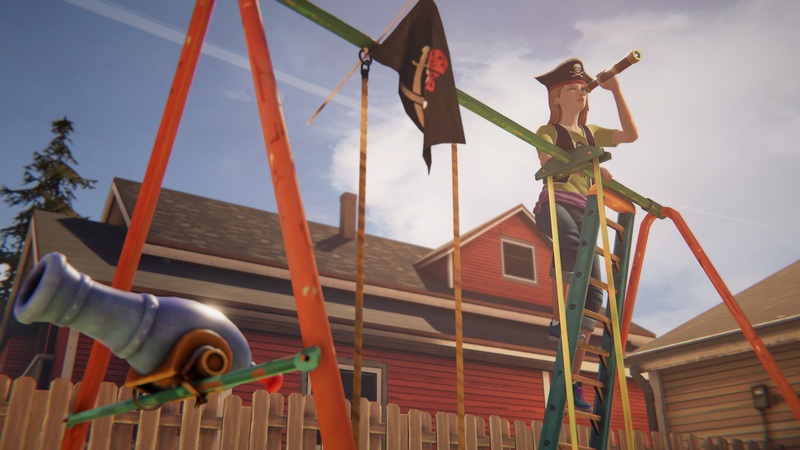 Chloe's father was the one who played along with his daughter's pirate games. He was the one who saw that Chloe had an incident at Blackwell and not only stood up for his daughter, but also started moving towards pulling her out of the school. Players even saw that Chloe's father wanted to work to help Joyce become a teacher, giving Chloe's mother a path to a different life. Chloe lost more than her father. She lost her biggest supporter. She lost the one person who would stick up for her above anyone else. This was evidenced over the course of Before the Storm. Chloe had nobody else she could turn to. Even after his death, she was still turning to the spirit of her dead father for guidance. It's part of the reason why Rachel Amber meant so much to her, because she was both a supportive force and a kindred spirit. All of that isn't why I started tearing up by the end of Farewell. It was because this was such a random circumstance that it could happen to anybody. Anybody could wake up tomorrow and learn that one of their loved ones was in a fatal car accident. They could find out that a family member was a victim of a drive-by shooting. They could find out that the person closest to them had a sudden heart attack or stroke and dropped dead on the spot. Anybody could wake up tomorrow and have their life altered forever. And it's especially tragic when that happens to a child, because it is unfathomable to imagine them moving on from such an event. None of this happens out of malice. No outside force was out to "get" Chloe. This was simply what life had in mind for her. To put a religious spin on it, it was simply God's will. Any one of us could have our own 'Farewell.' It's because of this that I never felt more for Chloe Price than I did in this final episode. Through the grace of God, I've never suffered a death in my immediate family. But this episode made me want to give everyone close to me a hug and tell them that I love them, because there's always that possibility that I may never get another chance to. Chloe Price's life was filled with tragedy and adversity. It didn't have to be that way. But in the end, that's just life. Sometimes, life is cruel. I never played the original game but I couldn't get past how f*cking annoying the main character in this game was from the first minute. MC acted like such a tough girl all the time, and maybe it's down to me not playing the original game, but her "tough girl" act/attitude really rubbed me the wrong way and I could be bothered to find out if it got better. Also, I found the voice actress' performance to be less than I'd expect for such an over-hyped series (IMO). Thank god for steam refunds, is all I can say. I'm really glad that Before the Storm helped you to see Chloe for who she/they was, for the person who I saw in the original game behind the maladaptive behaviors. As the person any of us could have become.